I am always looking to craft meals with ingredients I already have in my fridge and cupboards. 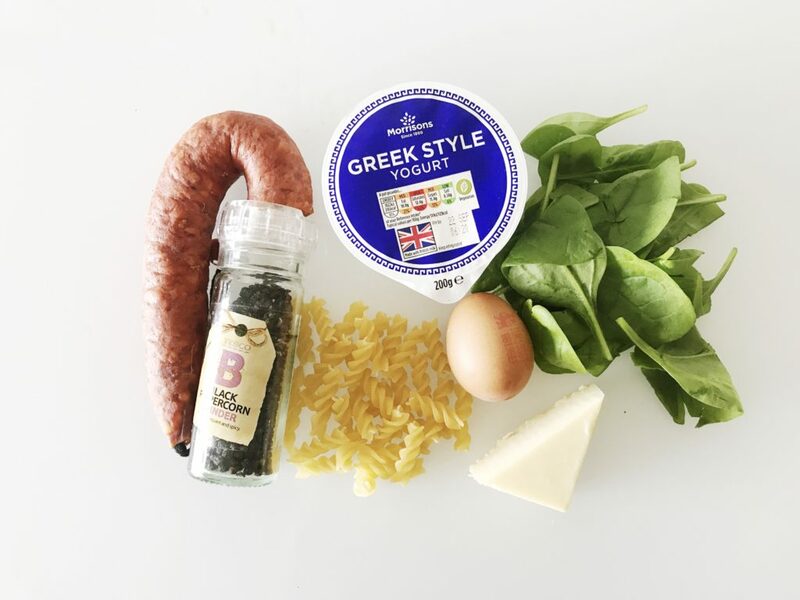 There’s nothing worse than wanting to make something yummy and finding you need to run out to the supermarket to grab a few essential ingredients. 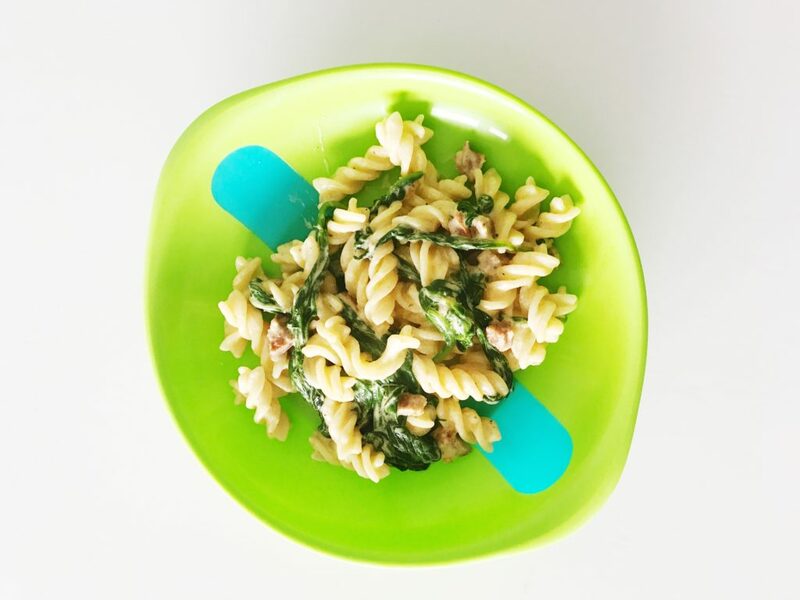 This toddler carbonara uses greek yoghurt, something I always have in; chorizo, another staple in our fridge and spinach (although this can easily be switched for finely grated courgettes). My favourite part of this recipe? 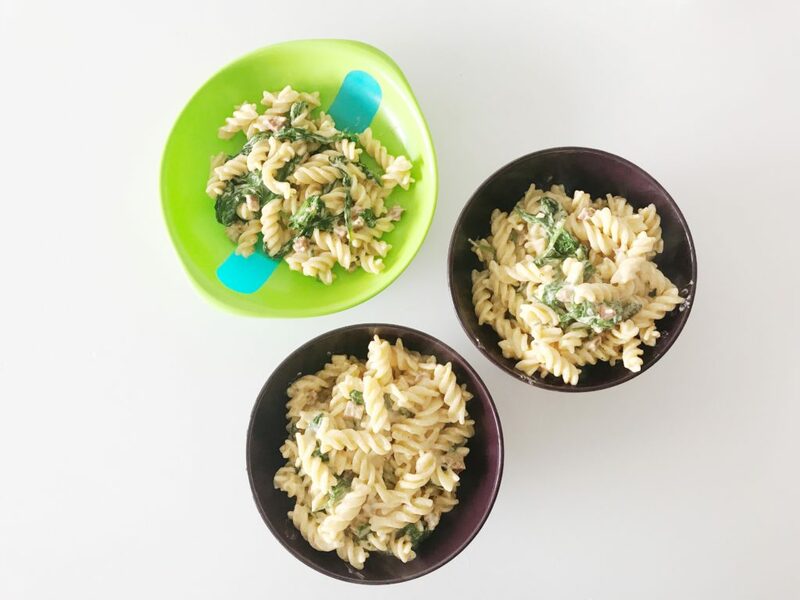 It can be knocked up in about fifteen minutes, making it an idea lunch or quick supper if, like me, you are a working mum who doesn’t get in until late. Meanwhile, pour some hot water from the kettle into a medium sized bowl so it's about half full. In a frying pan, fry the chorizo in the oil until it softens, add the garlic and throw in the spinach until it i wilted. Take off the heat. Reserve a little water from the pasta and drain. Empty the bowl of water and pour in the yoghurt along with the cheese, salt and pepper. Crack the egg into the mixture then whisk with a fork until a sauce forms. Toss the spinach and chorizo into the sauce and add the pasta. Stir to coat evenly. The reserved water can be added if the sauce seems a little too thick. 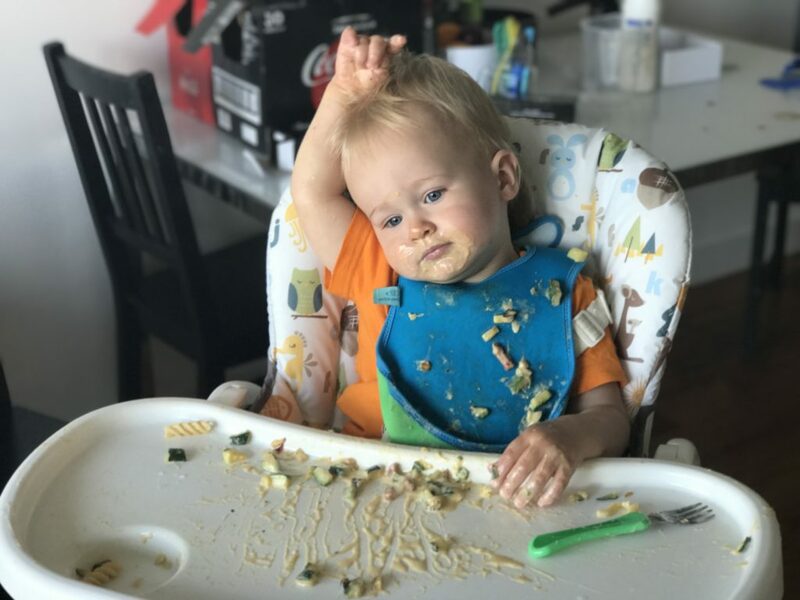 I very rarely get to have carbonara as my husband hates it so much, so you can imagine my delight when Dex ate the whole thing up! Yay, I now have someone to share one of my favourite dishes with. 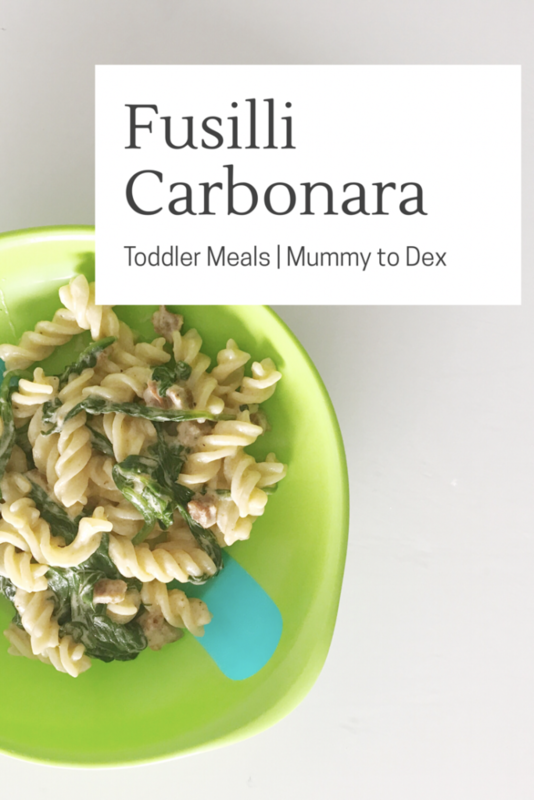 Let me know if you try the toddler carbonara recipe and what you think.